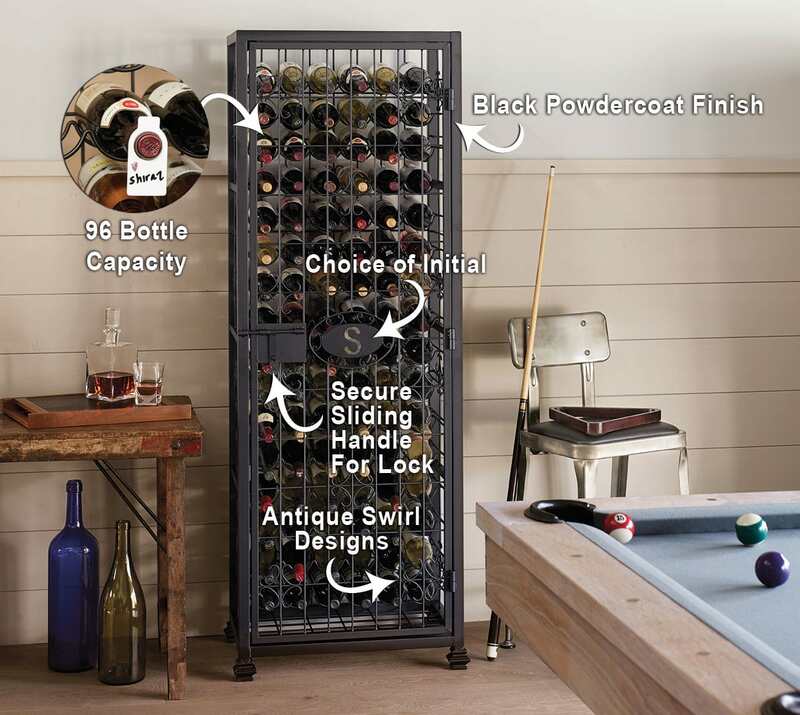 Elegantly store wine bottles in this antique inspired wine jail of durable iron. It is narrow enough to fit out-of-the-way locations in your home—that unused corner or space between a table and chairs. Its towering frame will become a conversation piece, while holding up to 96 bottles, the equivalent of eight cases of wine. Add a personal touch with our metal initial plaques that clip onto the front of the door. A powdercoat finish protects the metal from degrading, creating a charcoal color and timeless piece of furniture. The sliding handle can be padlocked to keep expensive collections secure and safe from children in the house. We recommend Reusable Wine Bottle Tags to mark bottles for easy identification of wine inside the jail. 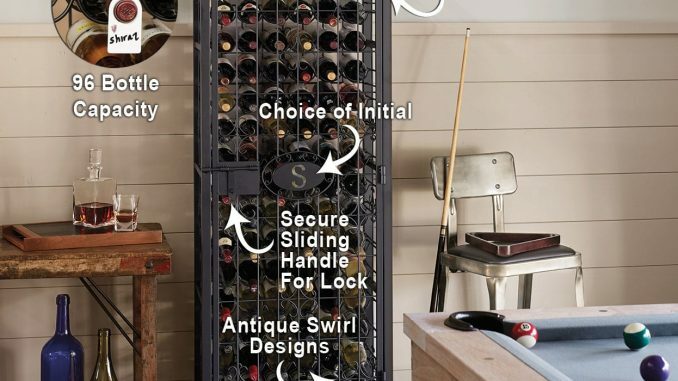 Planning a Wine Cellar – Where to Start?